Pilates is a form of postural training which is of great value for riders, especially dressage riders, because it strengthens the core muscles and increases joint flexibility. This is an explanation by Karen Gunn, one of our pupils here in France, who uses Pilates to help her riding fitness. Lunge lessons are an important part of my riding week. Without that expert HHT eye watching my every move, that lazy right hip which persists on being ahead of the left one, could have gone unnoticed for many years (by me - certainly not the horse) leading to miscommunication, misunderstanding and frustration for both horse and rider. 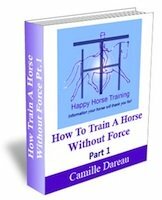 No matter how hard we ride and train with our horses, if we are limited physically in strength and movement, there is only so much we can do on the horse – and only so much the trainer can ask of you in any one session, limiting progress. If we cannot align ourselves correctly on the ground, how can we align ourselves correctly on a moving horse? We expect our horses to align and straighten themselves but how can this be possible if we sit crookedly on their backs? 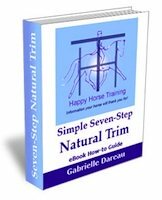 If your horse is not supple and strong throughout its body it cannot perform the movements we ask of it. It is the same for us – the stronger we are in our core muscles, the more supple we are in our joints, the stronger our seat becomes with less reliance on our hands – we develop a seat that is completely independent of our hands. (See The Independent Seat for more about why this is so important for correct riding). Using Pilates exercises enables us to switch off ‘wrong’ muscles, and focus on turning on the ‘right’ muscles helping us to be aware of which we need to use at any moment on the horse. We will gain more control of our body, and not only does this help in some of the more difficult dressage movements, but it makes us more able to stay on the horse during those moments when the horse tries to dislodge us for whatever reason! For example, the Psoas muscle is a deep postural muscle which can prevent the rider's seat from becoming independent and adhesive if it is over-contracted. There are specific Pilates exercises to help you to release the psoas, click on the link to find out more. As riders, it is vitally important to be able to have complete control of our bodies - to be able to move and use different muscles independently. For example, moving your right leg back that extra fraction for a change whilst anchoring your waist and upper body to ensure the change remains straight. By regularly doing Pilates exercises your upper body will be able to rotate whilst your seat and legs remain balanced and square. 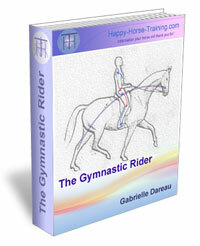 You will be able to help balance your horse rather than hinder. Your core will be strong with a supple lower back and pelvis allowing you to better flow with the horse’s movement. 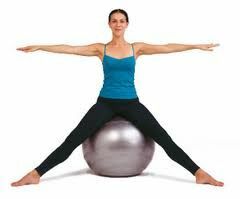 Pilates is a series of gentle yet powerful exercises, designed to help the body function better. It develops the body uniformly, and corrects wrong postures. It brings the body into alignment physically and mentally, reconnecting the brain to the body helping to restore imbalances and good health. It focuses on controlling the deep postural muscles that form the central core of the body to support and protect the spine, working the body from the inside outwards. The exercises gradually strengthen weak muscles, lengthen and stretch tight ones, allowing symmetry throughout the body with increased flexibility, mobility and strength. It is a very thoughtful and precise form of exercise where no careless movements are made - it empowers us to move correctly. 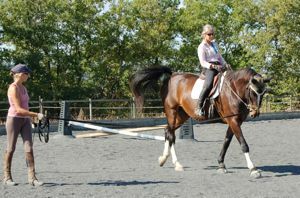 The combination of regular lunge lessons (photo, right) and off-the-horse Pilates exercises have made me a stronger, more supple, balanced and aware rider – and a better pupil. 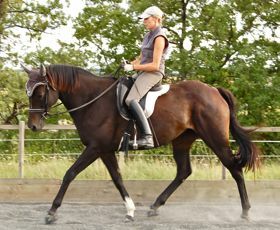 I get more from my lunge lessons and make better progress. I can get my own body into alignment and bring myself into engagement thereby enabling the horses I ride to follow into the same postural pattern. I have become a ‘gymnastically straightened’ rider who is aware of postural imbalances and will strive to correct them at all times.